What Happens when a Hernia Goes Untreated? Although anyone of any age can get a hernia, the elderly, smokers, and the obese stand a much higher chance of developing one. Those persons who have already undergone surgery can also be more susceptible to hernias. As for why hernias develop, they may arise because of previous surgery, injury, disease, heavy lifting or pregnancy; in most cases, hernias are idiopathic (that is, no cause can be identified) – and result from a naturally occurring weak spot in the abdominal wall that a person is born with.. Since anyone can develop a hernia, it’s important to be properly educated about its symptoms. Although hernias aren’t lethal or likely to lead to serious harm, that doesn’t mean they should be underestimated. They can cause pain and activity limitations. And the reality is that some hernias can lead to serious injury; some of them can even lead to death. It must be stressed that the hernias that ultimately cause severe harm or lead to death do so because they were not treated properly or promptly. 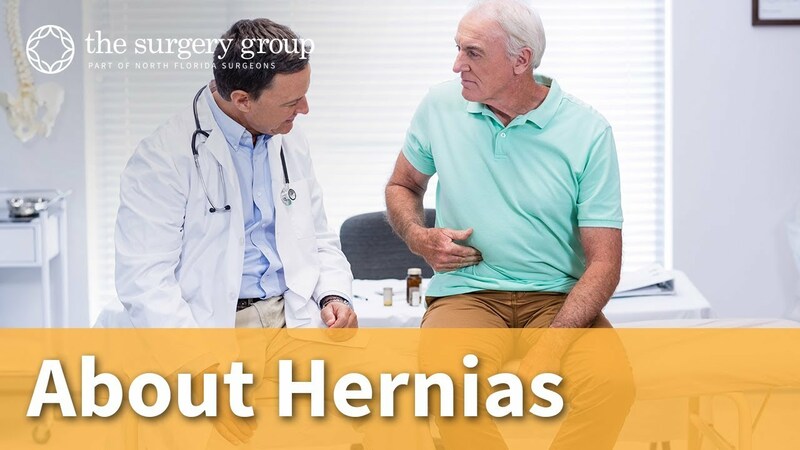 In other words, if hernias are managed properly and surgically repaired, life can return to normal and the risks can be minimized. The bottom line is that an untreated hernia involves more potential risks and can lead to more severe harm than treating one—as the following facts will help illustrate. What Happens to Hernias That Go Untreated? Hernias are no different than other problems we experience in life—they tend to get worse or larger if not addressed adequately. Mild symptoms can turn into more serious ones, possibly spiraling into seriously underestimated complications. If you suspect you have a hernia, at the very least, you should schedule an appointment with a specialist. Although it’s true that activity restriction (avoiding heavy physical exercise and straining) can reduce the severity of symptoms, a hernia can’t heal on their own. In fact, the only effective way to deal with a hernia is with the use of surgery for repair. In some cases, hernias cease from growing, but they never get smaller. In some extreme cases, hernias can become so large that the abdominal cavity can collapse – making repair much more difficult. At any rate, it’s better to get a hernia treated while it is relatively small than to wait until it grows in size. Smaller hernias are usually easier to repair and the recovery time from those types of surgeries can be much shorter. As hernias get bigger, they become more susceptible to incarceration and strangulation. The latter usually involves blood being stopped from flowing freely to the tissue, which can lead to tissue death and gangrene. Such an event can lead to parts of organs dying or rupturing—both of which will usually require emergency surgery. Attempting to treat a strangulated hernia can be much riskier and complicated than treating a regular hernia; additionally, recovery can take much longer and the risk of recurrence is higher. How do you know if you are suffering from a strangulated hernia? First of all, you will feel very sick and the symptoms you will be facing may include intense pain, nausea, vomiting, and fever. If you are experiencing one or more of these symptoms and you have a hernia, seek immediate medical attention. What are the Dangers of Not Treating a Hernia? Some people assume that just because they aren’t experiencing any significant or bothersome symptoms, the hernia they are suffering from must not be too big of a problem. Such a view may even lead these people to believe that ignoring the hernia is best. Untreated hernias may not only keep increasing in size but may also become harder to manage, more uncomfortable, more painful, and in worst case scenarios, life-threatening. Why Choose The Surgery Group? We remain committed to providing our patients with innovative, safe alternatives to open surgery. However, there are times when open surgery is warranted, and minimally invasive surgery is not an option. In cases such as these, our board-certified surgeons are prepared to perform conventional surgery and provide each patient with the compassionate, high-quality, personalized care they deserve. OUR SURGEONS ARE NOT DIRECTLY OR INDIRECTLY ASSOCIATED WITH ANY HOSPITAL. As such, we can recommend the best place for your Surgery to be done. Our only interest is resolution of your health problem in the safest and easiest way. Any surgeon who works for a hospital is bound by the administrative policies dictated by that hospital which can affect your care. These surgeons may be encouraged to use techniques or consultants or diagnostic tests which benefit the hospital system and are not in the best interests of the patient. Our surgeons are continually maintaining their skills and expertise. This is accomplished by keeping up with the latest surgical techniques and technological advancements in our field. Whether we are performing an open surgery, a minimally invasive procedure or a robot-assisted surgery, our expert surgeons can perform complex and delicate procedures with unmatched precision. If you need surgical intervention for any of the conditions or diseases listed above, contact our office today, at 850-444-4777, to schedule an initial consultation with one of our Board-Certified Surgeons. We proudly serve Southwest Alabama (the Gulf Coast), Northwest Florida, Fort Walton Beach, Destin, Florida Panhandle, Milton, Foley, Atmore, Brewton and Santa Rosa County. Mastectomy vs. Lumpectomy: Which is right for you?